If you’re trying to ignore the sharp, shooting pain in your wrist right now, then you probably know the effects of carpal tunnel syndrome all too well. Like the 2-3% of people who suffer from the condition, you’ve probably gone to great lengths to try to get some relief from the pain (1). You might have tried rearranging your workstation, investing in a pricey ergonomic mouse and keyboard or taking regular stretch breaks throughout the day. Unfortunately, none of these methods truly provide relief from the constant numbness, tingling, and pain in your wrist and forearms. Luckily, there’s one weird trick that does. Flaxseed oil, also known as linseed oil, is high in essential fats and known for its multiple medicinal properties. It’s used to treat a wide variety of ailments, including heart disease, arthritis, diabetes and even anxiety and ADHD (2). 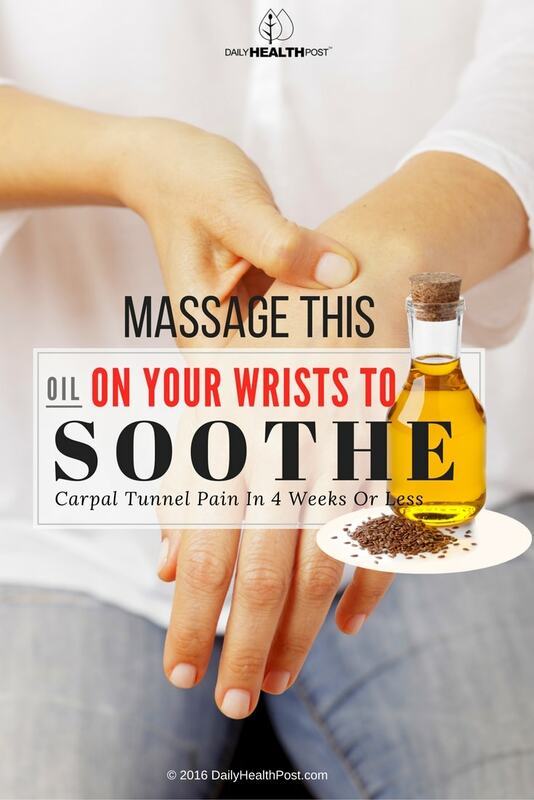 A recent study conducted by the Tehran University of Medical Studies reported that applying a small amount of flaxseed oil directly to the wrist might be effective in reducing the severity of pain caused by carpal tunnel syndrome. The study concluded that flaxseed oil may also help people who suffer from carpal tunnel syndrome regain their mobility (3). The experiment involved 100 patients suffering from mild to moderate carpal tunnel syndrome that was not caused by a pre-existing health condition. The study involved two groups: one group was given linseed oil while the control group was given a topical placebo. They were both instructed to rub five drops of the substance on their wrist in the morning and at night for 4 weeks. Additionally, both groups had to wear a splint overnight and were not allowed to massage their wrists or forearms for the duration of the study. By the end of the month-long period, both groups were assessed using the Boston Carpal Tunnel Questionnaire (BCTQ). 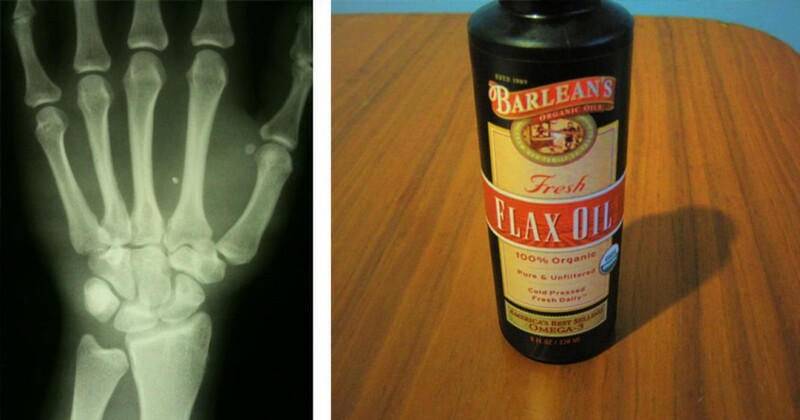 Unlike the placebo group, patients who were given the flaxseed oil reported a significant decrease in the severity of carpal tunnel symptoms. They also reported increased mobility. Although it’s not widely used in western medicine, Iranian traditional medicine often relies on flaxseed oil for its anti-inflammatory, immunomodulatory, and antioxidant properties. Additionally, flaxseed oil has analgesic activity comparable to aspirin and other popular drugs. Flaxseed also contains a high concentration of omega-3 fatty acids, including alpha-linolenic acid, to which it owes its inflammation-fighting power (7). Applied directly to the skin, the oil is easily absorbed into the bloodstream and works on site to provide relief. As you try this remedy, make sure to massage your wrist during the application to promote blood flow and release tension from your overworked muscles. Given flaxseed oil’s incredible benefits for carpal tunnel syndrome, it shouldn’t come as a surprise that consuming it on a regular basis can also benefit your overall health and reduce your risk of dementia and cancer (8,9). Simply drizzle it over salads and pasta to heal your body inside and out!